Halloween decor to stock up on..... for next year! Friends, it has been quite the season for us this year and we are SO behind on decorating for Halloween. In fact, the most we put out is our favorite Raven and a couple of wood pumpkins. Since it is so close to Halloween, I put together a list of my favorite decor items that seem to always come back year after year. Now is the time to stock up on next year's decor at a fraction of the price! I tend to like non-traditional color tones (think less orange and more deep jewel tones) and elegant statement pieces elevate the creepy vibes to a more classy level. Last year I bought Jordan a couple of pieces from Pottery Barn that never even made their debut this year. 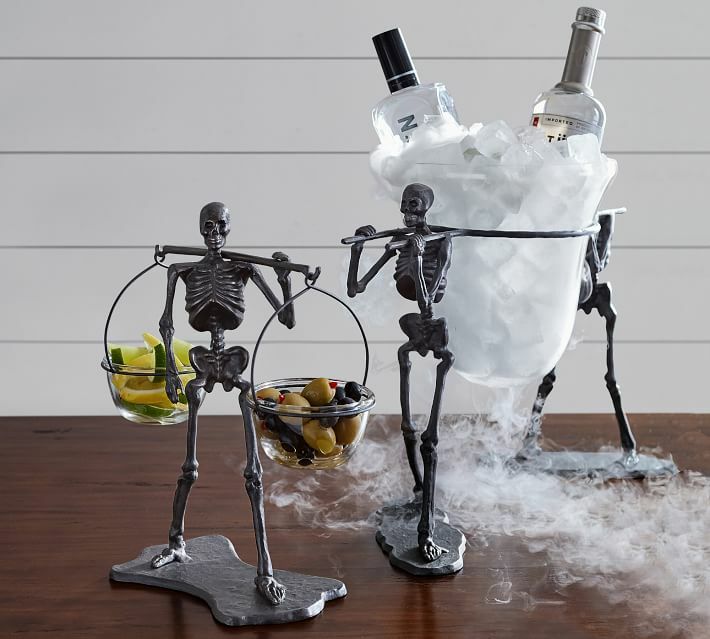 I was surprised to see Pottery Barn release the same items this year but I must say, they are my absolute favorite for parties and entertaining. Among my fav's are the Walking Dead set and the Booker Candle Set. While we are on the topic of entertaining, I also wanted to throw in some non-Halloween (but still relevant) items from West Elm. Their Matte Black Flatware and Petrified Wood Cheeseboard give all sorts of creepy vibes when paired with other classy Halloween items. Also making it's way on the list are the Crate & Barrel stoneware Cauldron Bowls. How neat would it be to bring a bubbling cauldron of soup out of the oven to add to your dinner line up? Given that they are stoneware, you can do just that AND throw them in the dishwasher afterwards. It's a win-win. I am a firm believer that wreaths are year-round items and just have to be changed according to theme. I loved this Black Branch Wreath, also from C&B but have found lots of DIY knock-offs on Pinterest (including this Martha Stewart Snake Wreath that is pretty killer). Finally, if you just don't have the fund to invest in larger decor items, I absolutely LOVED this simple mantle designed by Inspired by Charm and he gives a great step-by-step on how to accomplish this look. 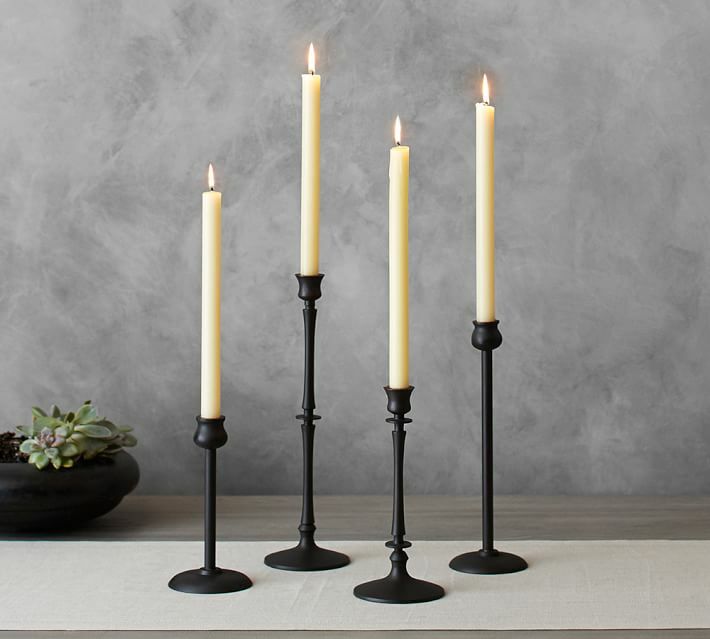 Just some simple black candles and minimal touches, and you have yourself a really classy display. Happy Haunting everyone! Send me your Halloween vignettes below or comment on what your favorite pieces are! I'd love to see!